After 2 months in Playa Del Carmen we started finding hidden dining treasures. 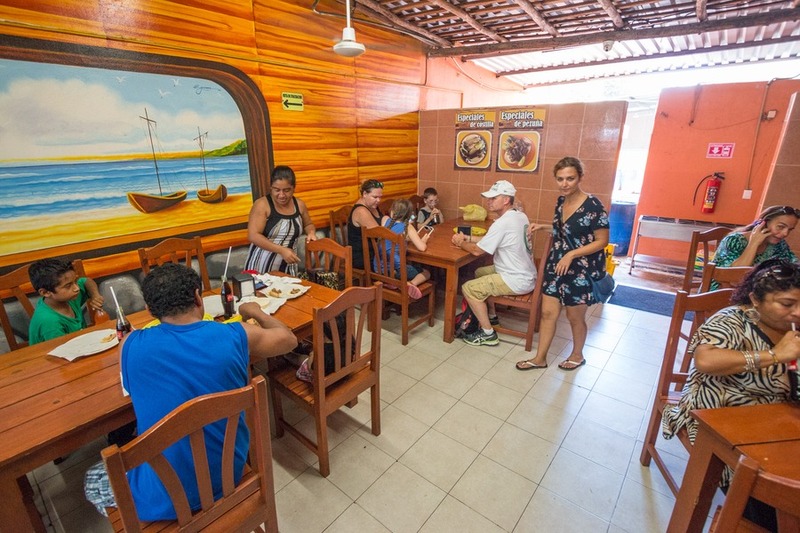 Doing the food tour with Viator sure helped, but so did other local expats. Alex from Travel Fashion Girl took me on a tour of her own personal foodie spots one afternoon and her choices were spot on. Other favourites were discovered through trial and error. So be prepared for a drool fest. We have tacos, we have steak, we have Thai. Our favourite three years ago and still just as awesome. Best pork tacos I’ve ever tasted. And the coconut shrimp stuffed with cream cheese… uh-mazing! I love that they serve complimentary tostadas with three yummy sauces when you’re first seated. So popular they now have 2 locations to choose from. The original on 34th Street is still our favourite. I was desperately craving Thai food while in Playa Del Carmen. I mean, I love tacos, but there’s only so much I can eat before Asian food cravings begin. Poh Thai is on the pricey side, but it was delicious. Try the green curry. Thai delivered to your door? Yes please. This place was literally across the road from us. The creamy pastas were a little luck lustre, but fresh tortellini was awesome and they did a good thin crust pizza. And they deliver! 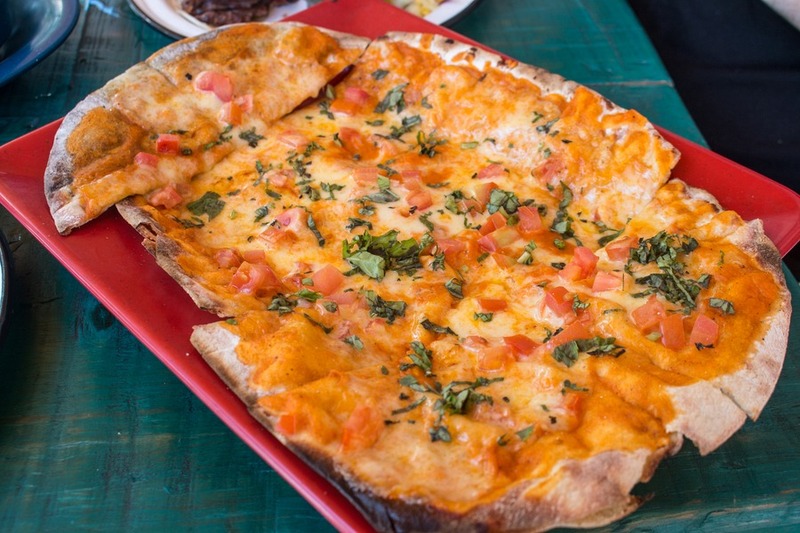 Not looking for thin crust? They claim they have the best pizza in town and if Chicago deep dish is your ideal pizza then what they say might be true. Looking for a steak? Try this place. Argentinian steak cooked well. The sides were a bit average, but they did the hero very well. My friend Anna from Anna Everywhere recommended this place and we stopped one evening for classic French cuisine. The quiche was a winner and Mia fell for her tuna croissant. My Vol au Vont was watery and lacking flavour, but the salad was excellent. Josh enjoyed his soup, while his savoury crepe lacked sauce. Of course all the pastries in the cabinet inside were fabulous! This spot on 5th Avenue has live music in the evenings and is pretty popular. Try the Fah Sampler, it comes with a quesadilla, nachos and guacamole – everything you could want on one plate! Great live music in the evenings for a nice chill place. I met some girlfriends here one afternoon to hang out. There is a pool and bar on the rooftop with magnificent views. Also they have a decent sushi menu. It’s pricey by Mexican standards, but delicious. We were recommended this place by Scuba Playa where we were doing our open water diving certificate. They serve tortas for 40 pesos(US$2). A torta is a Mexican sandwich- crusty bread roll filled with pulled pork. It was delicious. And amazing value! 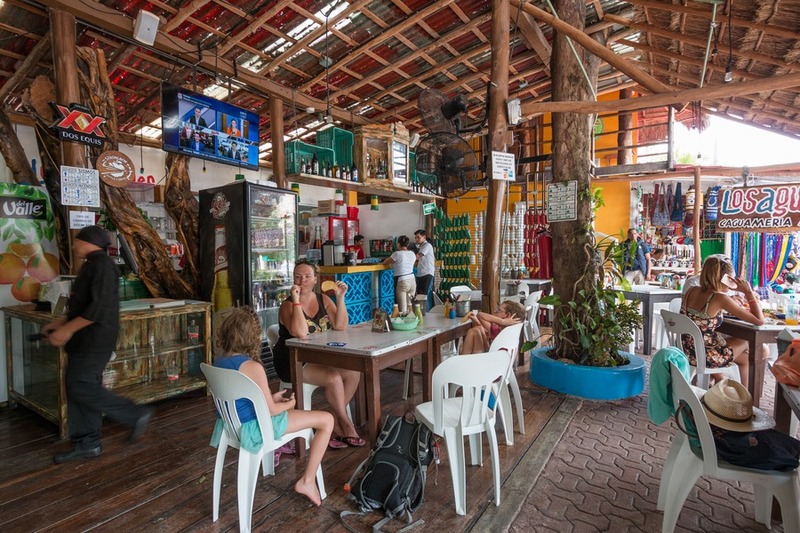 This small joint with a bright green exterior sits right next to Scuba Playa making it a quick stop for those of us with ½ an hour to grab a bite before heading out to the ocean to dive. A baguette will set you back 80 pesos (US$4) and toppings are unlimited. I opted for chicken, avocado and brie, while Josh enjoyed ham, salami and salad. The baguette was soft and crunchy at the same time. So yummy. 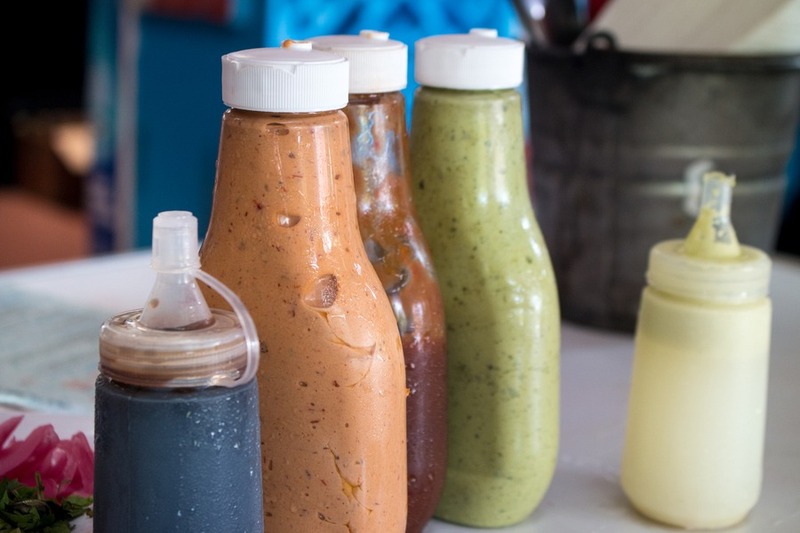 We sat down at the back of the restaurant and were served a tray of condiments – guacamole, hot sauce, chilli and other bits and pieces. 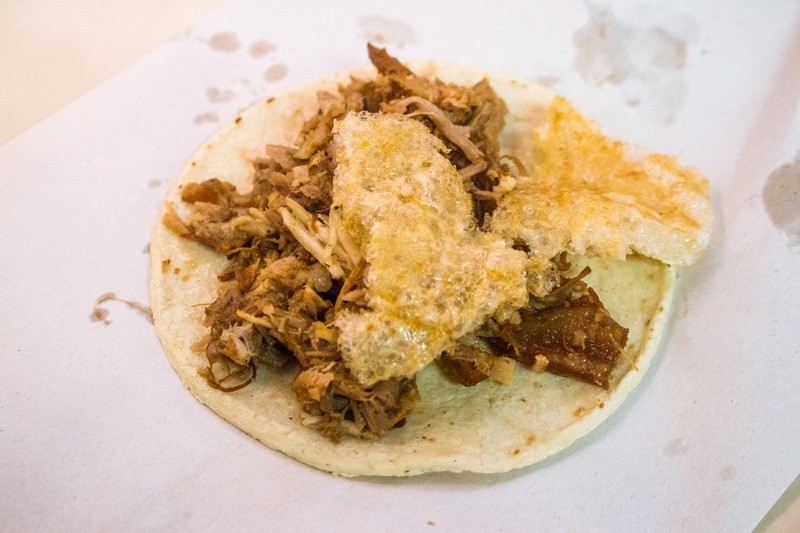 Get the greasy vor cochinita pibil, it was by far our favourite Yucatecan street taco. 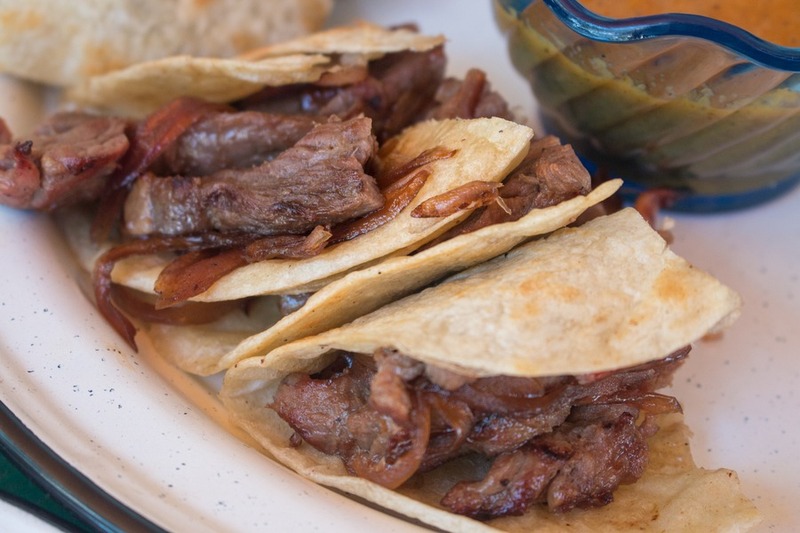 The tortilla was soft and light and just thick enough to hold the full-flavoured meat. There several cafes along 5th Avenue where you can stop for an iced chocolate or something sweet. So many choices, whether you want the expensive Aldo or Haagan Daas. Or perhaps you prefer the low-cost local Nieves Mexicanas ice cream. There is always time for ice cream! This spot is located directly on the beach. 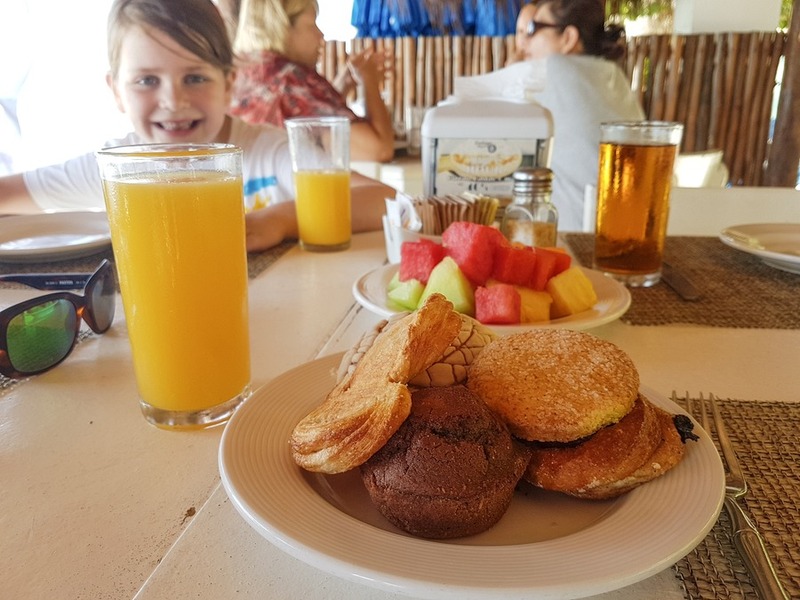 If you head for Sunday brunch you can get for 100 pesos (US$5.10) a small buffet and your choice of eggs and juice. Afterwards grab a beach-side lounge and hang out enjoying mojitos and the warm Caribbean water. 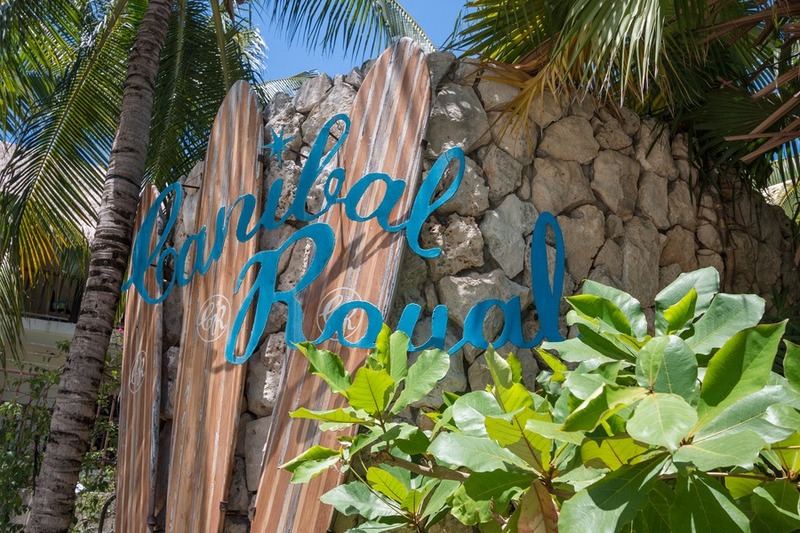 A few steps north of our BRIC condo on the beach was Canibal Royal which served yummy Mexican cuisine overlooking the Caribbean Sea. Head upstairs for the best views. The prices were much higher than our other favourite restaurants, but the views were worth paying for. Beyond scenic. If you’re light on the budget, maybe just grab a drink and some guac. Right across from Mega shopping centre was a small restaurant with room for about 4 tables and a bench. Three ladies inside were cooking fresh quesadillas. 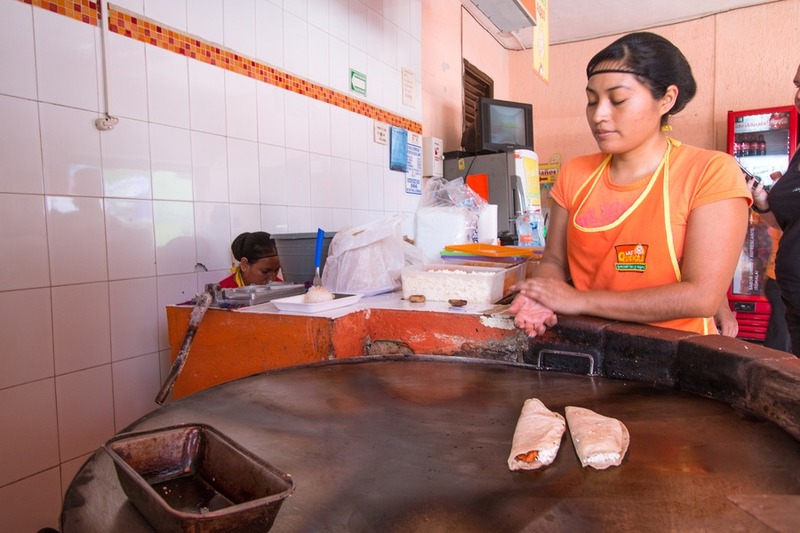 These ladies make their own corn tortillas and use Oaxacan cheese (the real cheese that is supposed to be in this Mexican dish). Josh loved them, the kids and I were not big fans. At US$0.75 each, you can’t get more budget-friendly. I don’t recommend the Curry Omm Indian restaurant. It was super expensive (similar to Australian food prices - US$50 for 2 adults!) and not very authentic. Don Sirloin seems to be a popular choice. But we found the service extremely lacking and the food without any love. Skip it. Learning a couple words in Spanish will go a long way. Here’s my recommended apps for Android and iOS. The further away you get from the touristy 5th Avenue, the cheaper the prices (in general). 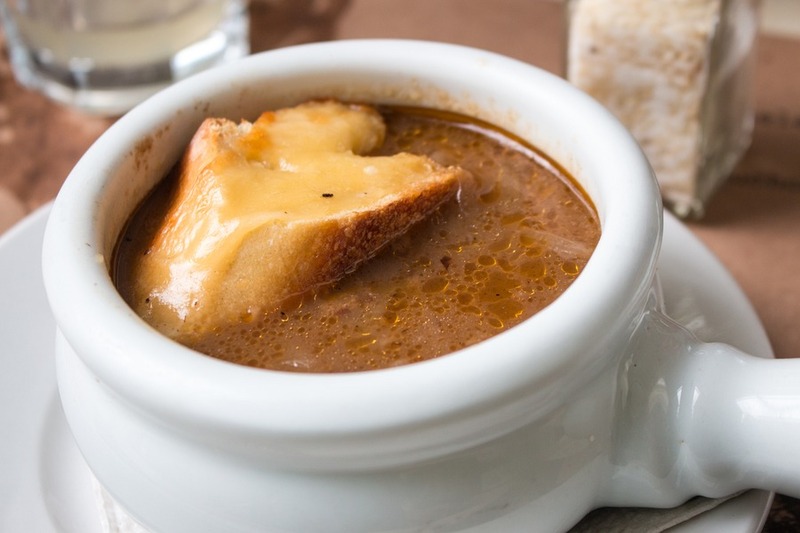 You’ll also find more authentic hole-in-the-wall eateries where the locals go. 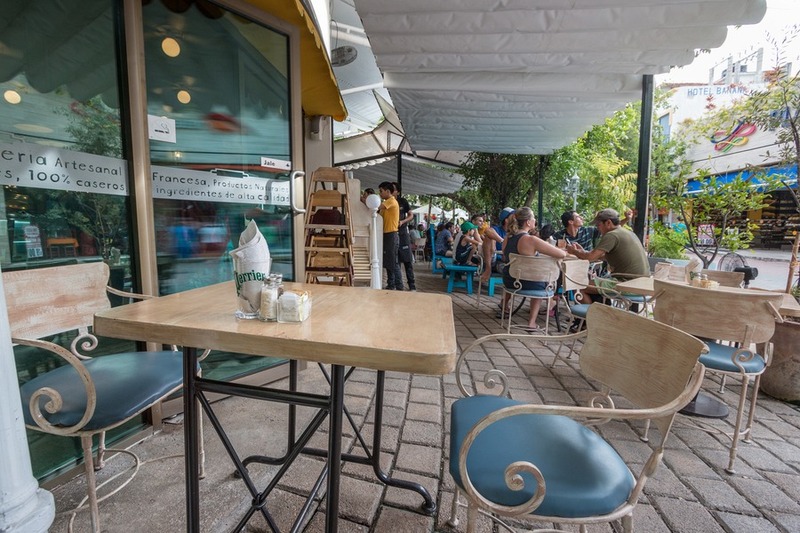 We prefer to uncover these types of restaurants, but some of them don’t have websites and many don’t speak English so we’ve linked to their location on Google Streetview. 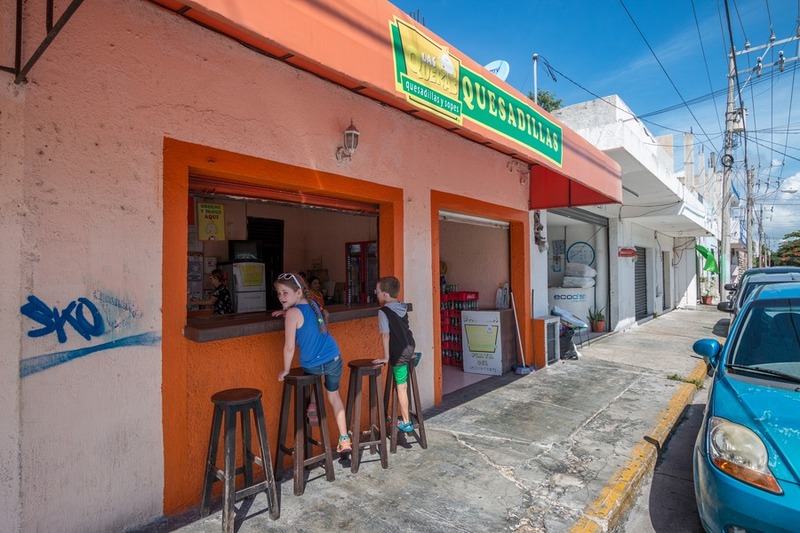 Addresses in Playa Del Carmen often consist of intersections rather than street numbers. Trying to get food delivered to your apartment or hotel can be tricker than it sounds. We sometimes had challenges since we don’t speak Spanish and some delivery guys had trouble finding our apartment complex. If you’re fluent in Spanish it will be much easier. Be adventurous – try something new! Whatever you do, please don’t resort to McDonald’s or Subway. 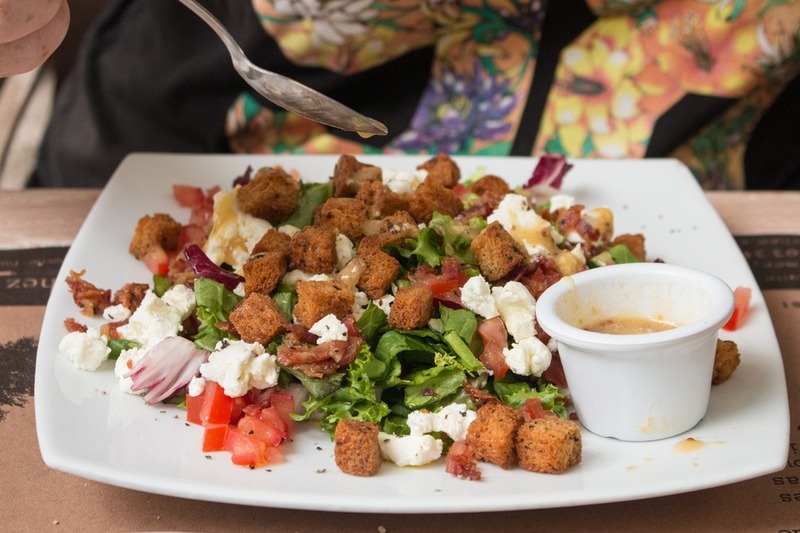 Playa Del Carmen has a bottomless pit of amazing food, so jump on in! 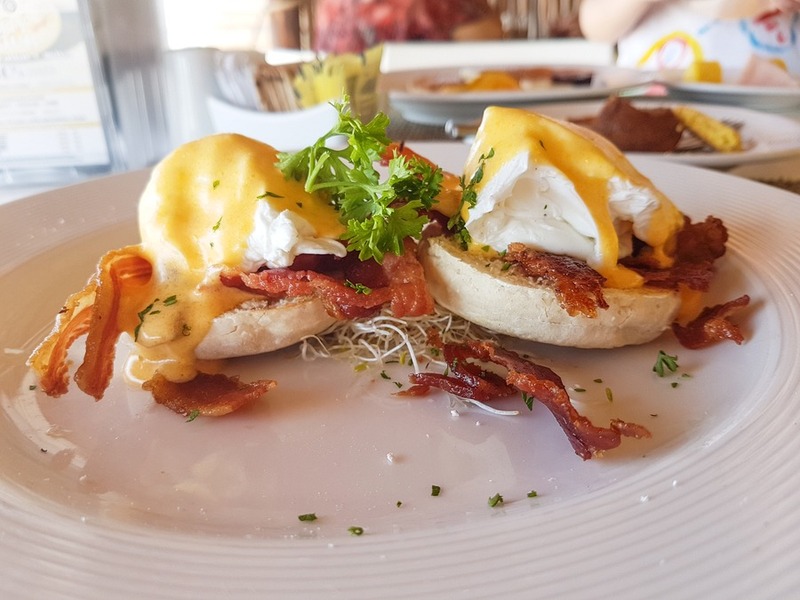 What’s your favourite places to eat in Playa Del Carmen, Mexico? Share them in the comments below. 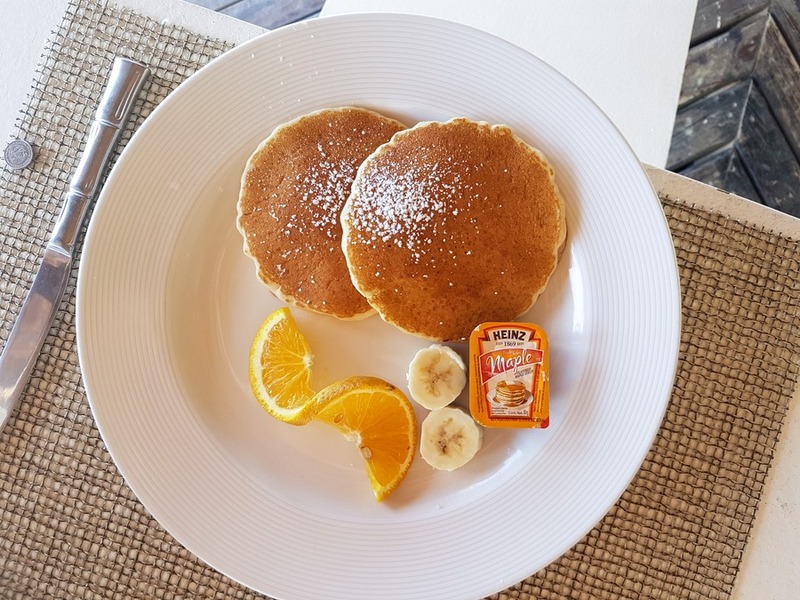 When in Playa Del Carmen consider staying a vacation rental or for more great food stay at Grand Velas! Looks like some new places for us to try, thanks! My favorite place so far is a fantastic Greek restuarant on the airport road called Estia, some of the best food we've had anywhere. My kids are big Percy Jackson fans so while we waited for food we tried to identify the statues of the Greek Gods on the shelves, much to the delight of the owner. So many places to choose from. I do like trying street food that is authentic whilst out and about although, probably like most people, occasionally you do have a fancy for something closer to home. I love the fact that you can mix traditional dishes say for lunch with a European dish for dinner. The best of both worlds. 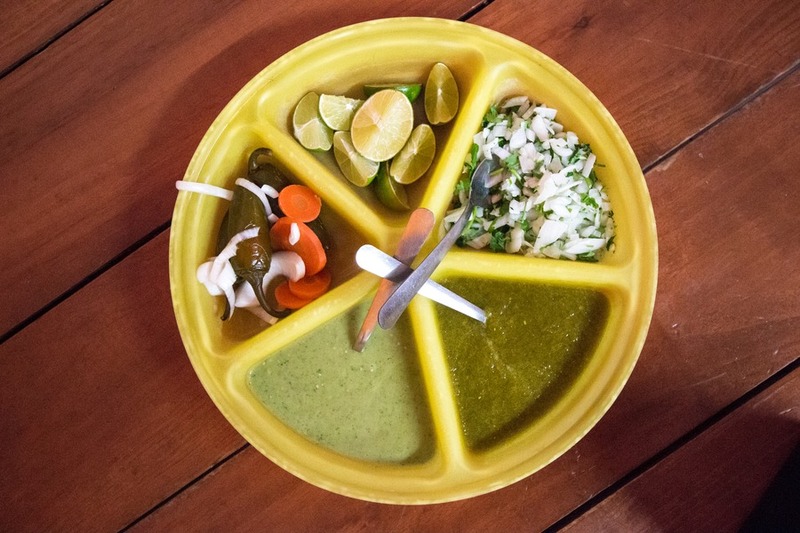 Thanks for posting lovely food and place to go in Mexico. Thanks, we’ve visited many of those and will try the others on our next vacation there! We also love la brocherie, Pantanegro, Don Chendo, and Bip Bip! Our favorite in PDC is Babe’e Noodle House. We love the Korean Noodles and the salmon with potatoes. We also love the homemade samosas with 2 sauces and definitely order a lemomenta to drink, with or without rum.